This chapter discusses the theory and practice of transmedia narratives within the storyworld created by Robert Kirkman, Tony Moore and Charlie Adlard's comics series The Walking Dead. It examines key aspects from the comics series and AMC's adaptive television franchise to consider how both have been utilized and adapted for games. Particular focus will be paid to Telltale Games' The Walking Dead, Gamagio's The Walking Dead Assault and Terminal Reality's The Walking Dead: Survival Instinct. 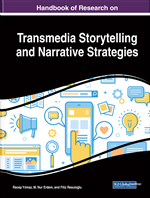 The chapter explains the core concepts of transmedia narratives as they relate to The Walking Dead, places the games in the context of both the comics and television franchise, examines the significance of commercial and grassroot extensions and considers the role gaming and interactive narratives have within rich storyworlds. In examining The Walking Dead as a transmedia property, the authors demonstrate how vast narratives are adopted, modified and transformed in contemporary popular culture. This chapter will discuss the theory and practice of vast transmedia narratives focusing on the storyworld created by Robert Kirkman, Tony Moore and Charlie Adlard’s comics series The Walking Dead and adapted by the AMC television series of the same name. The overall aim will be to examine key aspects from the comics series, with the television franchise and consider how both have been utilized and adopted for analogue and digital games. Particular focus will be paid to Telltale Games The Walking Dead (2012), Gamagio’s The Walking Dead Assault (2012) and Terminal Reality’s The Walking Dead: Survival Instinct (2013). The chapter will explain the core concepts of transmedia narratives as they relate to The Walking Dead, place the games in the context of both the comics series and the television franchise, examine the significance of commercial and grassroots extensions and consider the role that gaming and interactive narratives have within rich storyworlds. In order to do so, the authors will examine key moments/characterizations and assess the extent to which they are depicted across different media. In examining The Walking Dead as a transmedia property, the authors will demonstrate how vast narratives are adopted, modified and transformed in contemporary popular culture. They will explain the core concepts of transmedia storytelling across media delivery channels, and consider how these vast narratives are created and modified. Finally, the authors will explore the creation process of these experiences, and highlight how there is an increasing reliance on user discovery, participation, and collaboration that blurs the distinction between producer and consumer. The concept of transmedia storytelling itself is not a new one and the entertainment industry has a long history of developing licensed products across multiple media channels (Mittell, 2012). However, this often took the form of reproducing the same stories across different media formats. Films have always utilized fiction and non-fiction, and subsequently encouraged novelization where the source was not already published. With the increasing utilization of digital streaming and online content by broadcast media, the ground has shifted again. There are now multiple channels for delivering content and this expansion has coincided with an increasing array of tools allowing fans to participate in the storyworld. The acceptance of fan culture and increasing development of commercial and grassroots extensions to the original storyworld has resulted in a resurgence of story elements being conveyed systematically across multiple media platforms, each making their own unique contribution to the whole. The Walking Dead, with its roots in the comic book and commercial success of the television series, has now developed numerous videogames and other media in order to interact with the fan base. As a whole, The Walking Dead lends itself to the exploration of transmedial worlds, but the games allow an immersive experience not found in comics or television. Games can occupy the space between the linear storytelling of established canon and new expressions within the storyworld. Fundamentally they allow fans to play within the constructed universe but also open up the possibilities of the canon, allowing the player more control over the characters they portray or interact with and the narratives that they wish to explore. Franchise: A type of business that holds the rights to different properties. Canon: The material that is accepted as officially a part of an individual universe or story. In the case of The Walking Dead , the comics create the first official material while the television series creates its own material. Transmedia: The telling of a single story or experience across multiple platforms, mediums, and formats. Webisode: An original episode derived from a television series that is made exclusively for online viewing. Storyworld: The shared universe in which the settings, characters, objects, event, and actions of one or more narratives exist. Fandom: A group of people who are fans of a particular person, character, or series. It is often considered a community with its own unique culture. Grassroot Extensions: The marketing of products to ordinary people who are regarded as the main focus of the franchise.